Through adversity and illness, BYU's Van Noy has kept his career breathing. 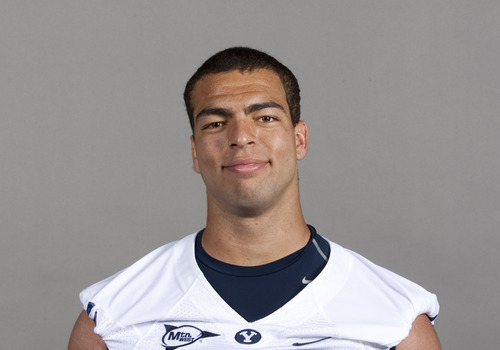 Kyle Van Noy cracked a reluctant smile the other day after practice, BYU's defense having been punched in the mouth by the offense during a final short session, allowing two easy touchdowns, and the linebacker letting his own mistakes rummage around inside his brain. "I'll learn from it," he said, "and get better." That little declaration pretty much defines Van Noy's experience at BYU and the traumatic months leading up to his arrival here. Twice, he's been on the brink of ducking down a back alley away from Cougar football and into a place somewhere else, a place where he could do his thing, play his game, live his life. And twice, Bronco Mendenhall turned him back around by handing him an opportunity he may or may not have deserved. Van Noy made the most of both. First came the famous DUI incident that occurred on the weekend before signing day in February 2009, when Van Noy, a highly recruited prospect out of Reno, Nev., was cited by an officer in his hometown. After years of recruitment, after Van Noy had played so well and been pursued by all kinds of big-time schools, finally choosing BYU, the process crumbled into humiliation. Mendenhall found out about the DUI two days before signing day, and when Van Noy sent the coach his letter of intent, he attached an apology, asking for a shot at earning back Mendenhall's trust. Prior to this mistake, Van Noy had been candid with the coach about various shortcomings, as well as his desire to come to BYU, where he thought he could improve as a person and a player. Mendenhall believed him, allowing him to enroll the following January. "I was humbled by that," Van Noy said. "I learned I wasn't some kind of Superman." In the meantime, he stayed at home, working out during the day and, at night, "just hanging out with my parents, watching movies." When Van Noy arrived in Provo, he built on his previous friendship with another highly touted newcomer  Jake Heaps  and attempted to shuffle his maturation, on and off the field, into the express line. It worked  sort of. Some of the veterans in the program resented the ballyhooed freshmen, all fresh-faced and enthused by their own potential and prowess, who, at times, made statements in which their own sense of destiny was a bit over the top. Making matters worse for Van Noy, he got sick after spring ball in 2010, losing about 30 biscuits, dropping all the way down to 200 pounds. He continued to work to get ready for last season, but once the early games commenced and most of them were lost, he made no impact on the progress of the team, getting essentially no playing time through the first four games. That's when Van Noy reached a point of frustration, nearly deciding BYU was the wrong place for him, after all. He had a two-hour-long talk with Mendenhall, the specifics of which remain solely between player and coach: "It was good, though," Van Noy said. "It changed a lot of the thoughts that were in my head. Coach Mendenhall said he had a plan for me. I had faith in him and in what he was telling me." The next week, against San Diego State, Mendenhall walked up to the linebacker and said, "You're starting." He made mistakes, as he did through the rest of the season, but he built on a notable foundation of speed and athleticism, emerging as a strong presence at outside linebacker. "I know when I do something wrong," he said. "And I fix it." In the offseason, Van Noy worked out four hours a day, building his 6-foot-4 frame up to 235 pounds. Coaches have cross-trained the sophomore to play on both the strong and weak sides, giving him flexibility to mix in with seniors Jordan Pendleton and Jameson Frazier. "I don't want to jinx myself," he said. "But I feel like I'll have a good year. Come game time, all of the linebackers will be flying around to the ball." Linebackers coach Kelly Poppinga bobbed his head in agreement, seeing plain evidence of progress made: "Kyle is fast and athletic and is doing a great job, especially as a pass rusher. In practice, our [offensive] tackles are having a hard time with him. Out of our whole defense, he and Jordan have blown me away. "He's a kid who has really matured. He's had a lot to overcome, but he's seen now as a leader on our team. He's a good example of a guy who may have thought, at one time, that he knew everything, but then he got humbled and became teachable. He grew up and he learned. And now, he could become one of the best linebackers ever here. It's all up to him. If he keeps working, he can be great." "You can come back from making mistakes. You can be a better person. No matter how low you sink, you can rise up. If I did it, anyone can." 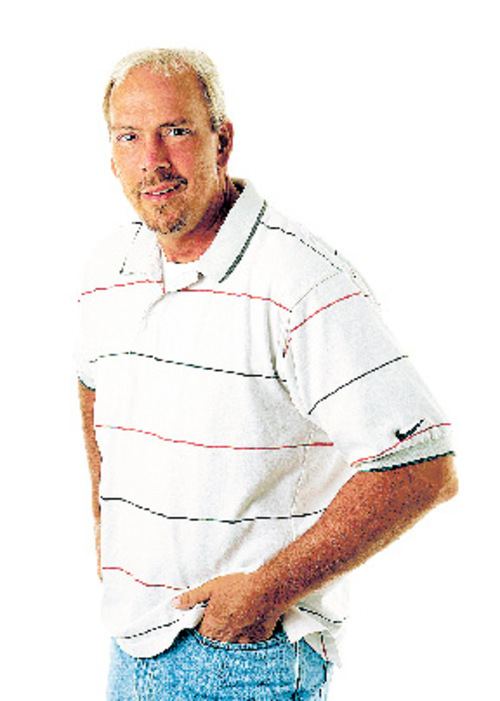 GORDON MONSON hosts "The Gordon Monson Show" weekdays from 2-6 p.m. on 97.5 FM/1280 AM The Zone.